Let’s face it. No matter what our income at some point in our adult lives we struggle with money. Maybe we don’t make enough money or maybe we have crazy high bills. But, more likely, is we don’t have an intentional plan to manage what we have and we don’t have great tools or systems in place to help. So having been debt-free for over a decade and going from dead-broke to living the middle-class dad dream, these are tools I KNOW can help you. Personal Capital is one of the best tools for budgeting you will ever use, especially if you have a lot of accounts. It helps you track your spending, have a better overview of your retirement portfolio and tracks your net worth. The best part is, this app is completely free for everyone to use. People often pay huge amounts of money for someone to sit down with them and tell them how much they could have in a decade or something similar if they saved a certain amount of money. This app, however, does all of this for free and counts all of the returns you could expect over time. Check out Personal Capital today (click to learn more) and see exactly how it can get your finances on track! Almost all of us have some subscriptions we are still paying for even though we have no use of them anymore, right? This program can help. For instance, you are no longer using your old Netflix account but your partner’s instead. Or you use Pandora but still pay for Spotify? Well, you won’t have to spend that extra money anymore on things you never really use. This app is here to help you get rid of them and save the money up instead. When it all adds up, you get a pretty nice sum you could either save up or spend on some of the things you need. This app will send you a text containing all of those subscriptions that you pay and then you can cancel them by just replying with Cancel and the subscriptions name. But they can also work with service providers (cable, phone, etc) to lower your bills or take advantage of discounts and deals and automatically get them added on your account. When you put your expenses under control, you can also set up a savings account on this app and set aside a few dollars every week, day or month and help your savings goal. Check out Trim today (click to learn more) and see how much you can save! But yes, if you sign up with Paribus (at no cost! ), they will review purchases from major retailers like Wal-Mart, Target, Kohl’s, Amazon and many others and if they see a price drop on an item you recently purchased, they pay you the difference. Earning money was NEVER this easy! Check out Paribus today (click to learn more) and see exactly how much you can save! Budgeting isn’t hard, but when we first try and get started having never done one, we tend to panic, procrastinate, and delay. Once we finally do get it done, we wonder why we hadn’t started years before. So let me take the delay and procrastination out of it and I’ll write your first monthly budget with complete detail AND get you a detailed plan of exactly what I would do if I were in your financial shoes. I won’t be offering this forever, and the price is only $39.99, so take advantage and get budgeting! Get your custom monthly budget (click to learn more) and take your first step towards financial success! WANT A FREE BUDGET SPREADSHEET YOU CAN CUSTOMIZE? While some of you prefer apps, others may not want all your financial info on an insecure mobile device. Or you may like to completely customize your budget to your specific needs. 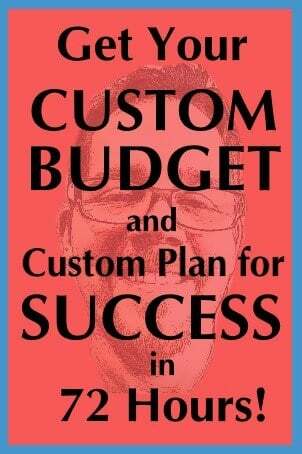 So grab a copy of my budget spreadsheet for free by clicking below. My Excel budget worksheet is a great way to get your budget going. 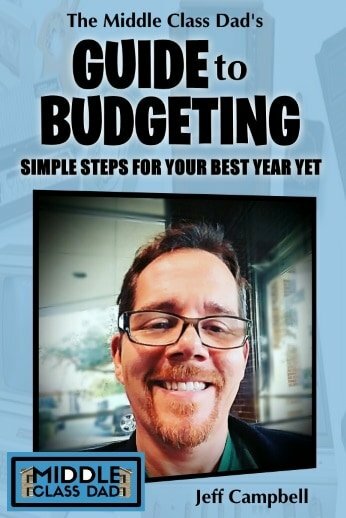 Download a copy of my budget, for FREE, right now. It’s simple to use and totally customizable. It lets you plug in all your known expenses for the month as well as all the known income and it does the math for you and shows you the balance. Then just watch my simple Excel budget YouTube tutorial to walk you through setting it up for your family.